By now you’ve undoubtedly heard of the hottest app of the week that is now taking on the Twitter world by storm. 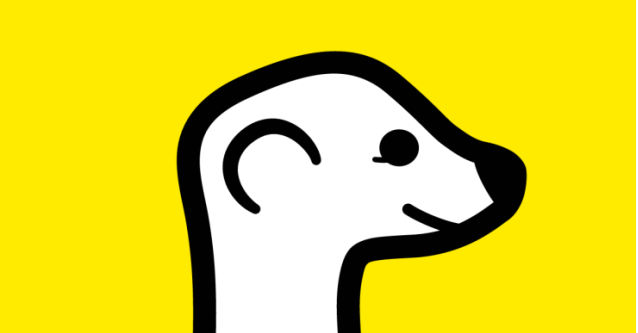 Yes, we’re referring to the newest app that everyone seems to be talking about: Meerkat. So what’s the deal? Meerkat is a video streaming app that allows you to share live video from your phone to all of your Twitter followers in real time. For the first time…ever. The app was made as a side project from Life On Air Inc., and brands using the app already love its easy and simple-to-use features. Since there are no real “rules” per say for Meerkat just yet, here are a few examples of ways that you can use the App to your advantage as a business looking to get involved. Live Events– Meerkat’s go-to use is obviously to stream video of live events. If your company hosts events, or attends them, share the content with your Twitter followers! Make sure that the majority of the live events are industry related to keep interest. Q&A Sessions– If your business or product comes with a lot of FAQ’s, Meerkat is the perfect outlet to answer your audience’s questions- LIVE! Simply inform your audience of the question and answer session before hand on Twitter, and encourage them to tweet in their questions to the account before and during the stream. Tours– Meerkat is the perfect way to help Real Estate Brokers everywhere. Imagine sharing a tour of one house to your thousands of Twitter followers? Groundbreaking, right? What about for other businesses? If your company has an awesome work space share it with the world. Tutorials– If your business can offer live tutorials for using your product, how-to’s to help them out, or anything of the sort, plan it out and then Meerkat it! If your audience knows that what you will be posting will benefit them, they will be more likely to tune in on Twitter. Everyday entertaining office activity-Do you have Super Hero Day at the office? Film the judging! Karaoke during lunch hour? Go ahead and record it! If your office takes part in anything fun and entertaining that can differentiate it from your competitors, why not share it? It is important to remember that there are some basic tips and precautions any business using Meerkat should take. IF POSSIBLE, PRACTICE- It is also a good idea to do a run through and plan out what you’re thinking about saying because, as you know, Meerkat is LIVE. Live as in if you mess up you can’t re-do it. Live as in if you accidentally curse on your company’s account people, POTENTIAL CUSTOMERS, will witness it. Live as in you need to know what you’re going to say so people don’t think you’re unprepared and scatter-brained. PREPARE AHEAD OF TIME- at least to some extent. If you are going to be broadcasting to your followers about a certain topic or for a certain event, be sure to let them know! You want your live stream to reach as many people as possible, and to do this, you must inform them ahead of time. If you do make a minor mistake, shake it off. Similar to Snapchat, the live stream videos from Meerkat disappear after you finish filming! So it really is no big deal! Interested in creating a Meerkat campaign for your business? We can help with that.